WASHINGTON, D.C. — The Sustainable Sites Initiative™ (SITES™) has announced four new projects that have achieved certification under the nation’s most comprehensive rating system for the sustainable design, construction and maintenance of built landscapes. These projects, as part of a group of 150 projects participating in an extensive, two-year pilot program, have applied the SITES guidelines and met the requirements for certification. The newly certified projects include Theater Commons and Donnelly Gardens in Seattle; the Taylor Residence in Kennett Square, Pa.; the BWP EcoCampus in Burbank, Calif., and the Grand Valley State University Student Recreation Fields in Allendale, Mich. Since June 2010, pilot projects have been testing the 2009 rating system created by dozens of the country’s leading sustainability experts, scientists and design professionals. The diverse projects represent various types, sizes and locations as well as budgets. Fifteen pilot projects have achieved certification to date. The SITES 2009 rating system includes 15 prerequisites and 51 additional, flexible credits to choose from that add up to 250 points. The credits address areas such as soil restoration, use of recycled materials and land maintenance approaches. Certification levels include one through four stars which are awarded to projects that achieve 40, 50, 60 or 80 percent of the 250 points. “The pilot program has informed and helped us refine the next iteration of the SITES rating system which will be published in the fall of this year. Many additional projects are continuing to work toward certification while we proceed with our preparations for open enrollment this year.” said ASLA Executive Vice President and CEO Nancy Somerville. The four newly certified projects each incorporate sustainable features and practices. Theater Commons and Donnelly Gardens. One Star. Seattle, Wash. Designed by Gustafson Guthrie Nichol, this project transformed a 1.6 acre parking lot, service road, and isolated lawn area into a welcoming, green, pedestrian-focused entry to Seattle Center. Seattle Center is a 74-acre urban park and cultural campus, and the site is located between the Intiman Theatre and the Seattle Repertory Theatre. Storm water from the theater roofs and non-permeable site surfaces is collected and filtered in bio-retention garden basins. Below the surface, a continuous gravel infiltration bed connects the basins and handles runoff, accommodating the required water volume while maximizing aesthetic variety at the surface. Permeable unit pavers help limit storm water runoff. The Taylor Residence. Three Stars. Kennett Square, Pa. The steep slopes of this former dairy farm created an opportunity for innovative water management techniques throughout artfully crafted terraced rooms and unique garden spaces. A drip irrigation septic system handles sensitive wastewater disposal while preserving hillside woodland vegetation, and green roofs absorb rainwater and reduce peak stormwater surge while regulating building temperature. A rescue garden incorporates historic materials unearthed during construction such as a porch railing that has become a fence, porch timbers used to construct a potting shed and excavated stone and soil to form planting beds. 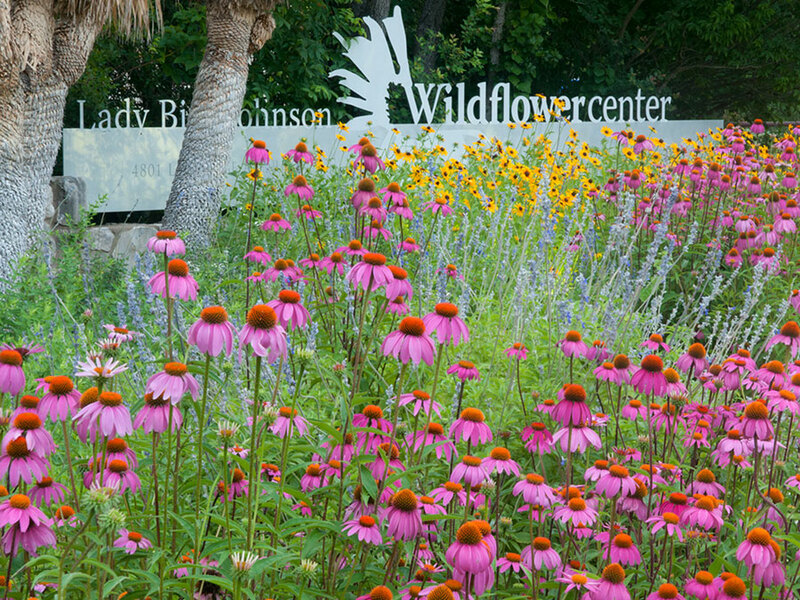 The site is intended to demonstrate sustainable landscape design and management techniques to visiting individuals and groups. BWP EcoCampus. One Star. Burbank, Calif. Burbank Water and Power transformed an electrical substation into a regenerative green campus, showcasing products and techniques for stormwater treatment within a public right-of-way, including permeable pavers, tree-pod bio-filters, silva cells and planted infiltration planter bump outs. Other sustainable features include three rooftop gardens, a solar power array that hosts a rainwater catchment system, a canal that purifies storm water with plants, LED lighting, a solar powered fountain pump and salvaged and repurposed concrete and gravel. The project has also implemented five different water filtration technologies, including infiltration, flow-through, detention, tree root cells and rainwater capture. Grand Valley State University Student Recreation Fields. Two Stars. Allendale, Mich. This athletic complex provides playing fields and support facilities for the university’s intramural, club and varsity sports teams and is an important part of the university’s effort to reduce storm water runoff to pre-development levels. Not only does this complex contribute to the health and well-being of the university community, it captures and filters rainwater, contributing to better water quality and less sedimentation in the Grand River and Lake Michigan. The university is monitoring wetland quality as part of its permit requirements. 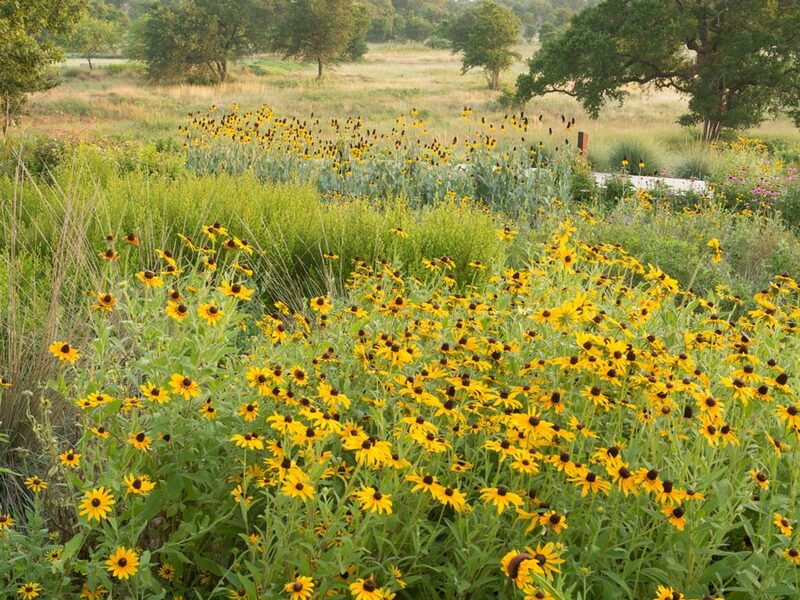 “This new group of certified projects represents that applicability of the built landscape being sustainable and adding to ecosystem services,” said Holly Shimizu, executive director of the U.S. Botanic Garden. About 80 of the initial 150 projects in the two-year pilot program have indicated they will continue to pursue certification. The feedback from these projects plus additional work by staff and technical advisors is influencing the next SITES rating system that will be available this fall. Major funding for the Sustainable Sites Initiative is provided by the Meadows Foundation and Landscape Structures. For more information about SITES, visit www.sustainablesites.org.